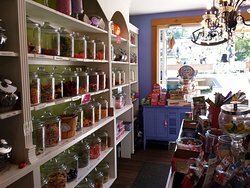 There aren't enough food, service, value or atmosphere ratings for The Candy Jar, Canada yet. Be one of the first to write a review! Biggest varity of candy I have ever seen, and I am a sugar addict. My takeaway was a bowl of moosetracks ice cream and I was smiling for the rest of the afternoon. Foul language in a Candy Store?!? Quaint little store in Tofino, but we quickly walked out after seeing the oven mitts with F-bombs and other language in the doorway. Not a great way to educate kids and not the only merchandise so decorated. Pouring rain - perfect time for Ice Cream! 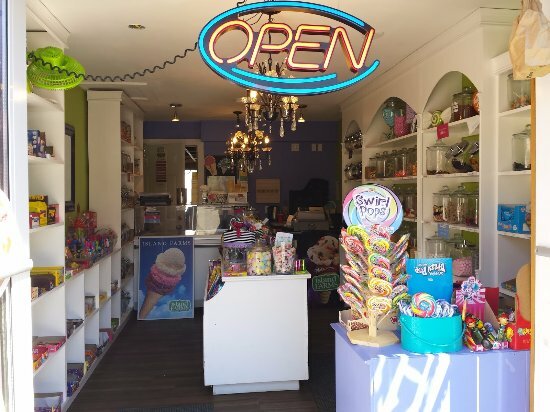 A cute little candy and ice cream shop. Our little 2 year old loved it. Across the street a great park too!! We were there today with our two kids. Staff was not very friendly ... ice cream selection limited, no toppings etc. also quite expensive (14$ for 3 ice cream balls). No restrooms, no real seating available apart from two benches. Nothing you will miss. 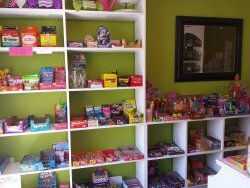 This store was very cute and had a great variety of candy! 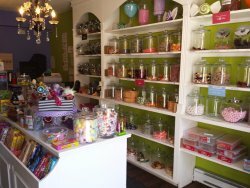 Perfect for someone looking for a sugar fix! 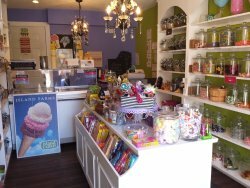 Stop in to this cute store! 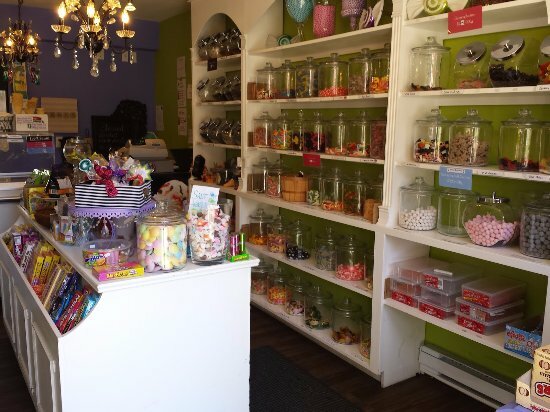 This is a cute little place with all the candy you could want. We wandered in for Island Farms Ice Cream (our favourite!) but if we were in the mood we would've filled up bags of candy! The owner was friendly and sweet. 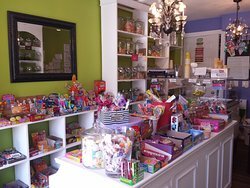 Get quick answers from The Candy Jar staff and past visitors.